The deadline came and went, leaving no Anthony Davis behind in Los Angeles. 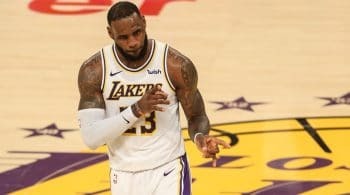 They will have to continue with the rag tag young Lakers around LeBron James. Lonzo Ball is going to be out for the forseeable future, leaving behind Rajon Rondo and LeBron James to do most of the ball handling. The Lakers added Reggie Bullock at the deadline, who should get more run given he is a better shooter than KCP. Kyle Kuzma and Brandon Ingram will continue to log 30+ minutes a night. The Lakers won the LeBron sweepstakes, and now that is over then we have one of the weirder rosters built around him. 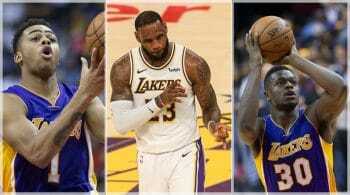 It is hard to vision what the Lakers are trying to build, as LeBron is usually the primary ball handler on the team. Signing Kentavious Caldwell-Pope, Rajon Rondo, and Lance Stephenson is not exactly surrounding him with shooters. Not to mention this team has Lonzo Ball as well, and his shooting isn’t going to wow anyone. With these names mentioned the fantasy value is going to be odd. James is going to get his numbers regardless, and while the surroundings is slightly better here, the struggles are still going to happen. James will produce his triple-double like numbers and log heavy minutes. We know that for sure. If we are looking at a number two on this team, Ball is going to need to have the ball to be fantasy relevant, because his off the ball production is awful. The same goes for Rondo. KCP is an average shooter at best, but LeBron is going to help him get some open looks. KCP’s value is actually one we expect to rise this year. Brandon Ingram is going to take a back seat to LeBron, and play some time at the two, three and four so his minutes should be relatively similar. Kyle Kuzma is our favorite non-LeBron fantasy value for the Lakers. He has an active shot, and his athleticism is going to pair well with LeBron. With no Julius Randle in the picture, and JaVale McGee now their starting center, the front court production is going to rely on him. The Lakers are an odd bunch, and unless they have something up their sleeves, this team isn’t going to be as competitive as people think. Of course LeBron will carry them to the playoffs, they are still in a tough western conference. Will Ingram Continue to Develop? Brandon Ingram has flashed potential since the Lakers drafted him out of Duke. In an injury-shortened season, Ingram showed signs of becoming the well-rounded player that the Lakers envisioned. With LeBron James in town, he automatically becomes the focal point of the offense. The question is whether that will put the brakes on Ingram's development. The Lakers did not add another major piece besides LeBron, meaning that the Lakers may be anticipating that Ingram will mature into the second option on the team. 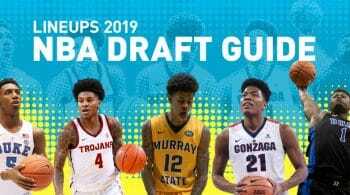 Ingram may lack the outside shot to become a viable swingman in the league. While Ingram's game is not a carbon copy of LeBron's, there are questions as to how their games will mesh and the spacing on the floor between the two players. In order to complement King James, Ingram will have to improve his outside shot. Is Javale McGee a Legitimate NBA Starting Center? It is hard to believe that Javale McGee is only 30 as it feels like he has been in the league forever. The Lakers have signed him and installed him at the top of their depth chart at center. McGee can provide a jolt of defensive energy off of the bench, but has not been asked to man the middle on a full-time basis in a long time. He promises to be a weak link in the paint if asked to play starter's minutes. Ivica Zubac backs him up, but the Lakers have never really trusted him to give him much of a shot to gain minutes. It is more likely than not that Zubac will be pressed into service at some point. Is Caldwell-Pope the Real Key? With Lebron, you always know what you are getting. The real question is how his surrounding cast will perform. Lebron's talents have always been maximized when he has been complemented by a standout shooting guard. Kentavious Caldwell-Pope has improved his outside shooting to the point where he can be the option that keeps opposing defenses honest by providing a perimeter threat. His True Shooting percentage has improved dramatically since the start of his career and he now gives the Lakers a solid, if unspectacular, option at the two. Outside of James, Caldwell-Pope is the only real shooter in the starting lineup.